Jamaica is a beautiful island paradise of sun, sand, surf and amazing native culture. While a ticket to the Caribbean might be a bit expensive, it's still possible to inject a little Jamaican flavor into a party. With the right music, food, decorations and even hairstyles, it's possible to sidestep the normal for a night of island-style excitement that guests will rave about for weeks to come. One love! Many Jamaicans wear their hair in dreadlocks, long sections of backcombed, matted hair. While a permanent version of dramatic style is a major commitment and not right for everyone, a head full of fake "dreads" is easy, fun and a great party activity. To get that island style, party-goers should break into pairs and part hair into inch-wide sections.Tease the hair at the root, backcomb gently and twist each section, coating it with a generous amount of hair product (one that can be washed out) and seal with a quick swipe of a flat iron to create funky faux-dreadlocks. The food of this island nation is described as "melting pot of people and cultures" by the Best Jamaica website, due to the many peoples who have made the country their home at one time or another through history. Jamaican food draws inspiration from the west coast of Africa, India, China and South America, resulting in delicious and spicy dishes. Jerk chicken is a native favorite, consisting of spiced, grilled meat, perfect for a party barbecue. Curry and seafood dishes are also popular Jamaican favorites, so for a fun get together, prepare an island-style feast for friends to enjoy. Top it off with a Jamaican beer like Red Stripe. 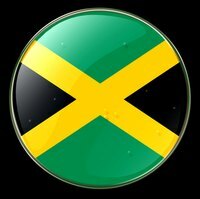 Reggae is the definitive sound of Jamaica, the land where this popular style of music was born. Home to legends like Bob Marley and Peter Tosh, Jamaican music has made a mark on the world and is sure to get people on their feet. Purchase or borrow a selection of great reggae music and have a dance party, complete with Jamaican flags on the wall and tropical decorations to create an island feel. Ask trivia questions about famous reggae songs and musicians, and hand out prizes to those who answer correctly.